Regional Economic Community Action Program (RECAP) was designated the new Community Action Agency dedicated to serving the City of Newburgh on Thursday, November 20, 2014. 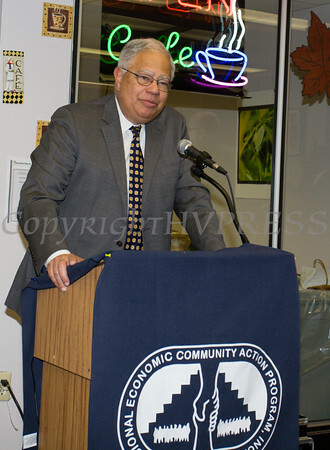 NY Secretary of State Cesar Perales offers remarks as the Regional Economic Community Action Program (RECAP) was designated the new Community Action Agency dedicated to serving the City of Newburgh on Thursday, November 20, 2014. Hudson Valley Press/CHUCK STEWART, JR.